According to a recent survey conducted by Financial Insights, an IDC company, and sponsored by Bank of America, algorithmic trading has become a standard practice within the securities industry with 72% of investment managers responding that they use algorithms, up from 67% in 2005. According to a recent survey conducted by Financial Insights, an IDC company, and sponsored by Bank of America, algorithmic trading has become a standard practice within the securities industry with 72% of investment managers responding that they use algorithms, up from 67% in 2005. Among hedge funds, who emerged as early and avid adopters of algorithmic technology, the figures are virtually unchanged, with 93% of respondents reporting experience with algorithms. While these figures suggest the market has reached maturity, there remains significant growth potential as trading technologies become personalised and more sophisticated. 63% of participants, for example, stated that their usage of algorithms had increased in 2006, and unlike the year before. No respondents reported a decrease. The survey, entitled 'Marching up the Learning Curve: The Second Buy- Side Algorithmic Trading Survey', was distributed to head traders at 60 top buy-side institutions. It follows a similar survey conducted in 2005 by Financial Insights and Bank of America, which aimed to gauge buy-side trading habits, including adoption and usage of algorithms, direct market access (DMA) platforms, and electronic communication networks (ECNs). 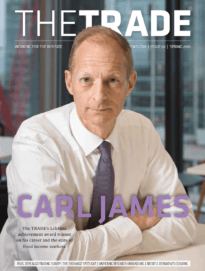 "We've come to a point where the market largely understands the benefits of program trading and the survey shows that the industry has accepted equity algorithms as an effective means of reducing transaction costs, optimising trade execution and maximising overall workflow efficiency and profitability, but this is just the beginning," says Bill Harts, head of strategy for equities, Bank of America. "As we have witnessed with our clients, increased demand for more sophisticated, market-adaptive algorithms has driven innovation beyond what anyone thought possible, and we are only now starting to realise the full potential of these powerful tools," he continues. "The 2006 survey results show that buy-side firms, regardless of size, continue to actively manage their own trades," notes David Cox, chief research officer, Financial Insights. "A greater emphasis on returns has forced firms to look at transaction costs more closely and focus increasingly on best execution practices. 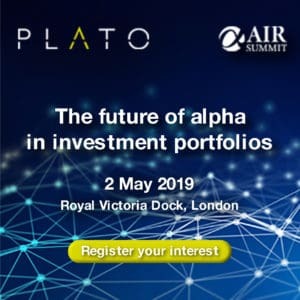 As transactions grow in complexity, incorporating multiple strategies and asset classes, algorithms that can minimise costs while providing anonymity and ease of use will be in high demand," he adds.